@pat – Tinderbox 8 is scriptable with AppleScript, which opens a lot of possibilities for us. Can I save Outline Filter conditions for frequent use? 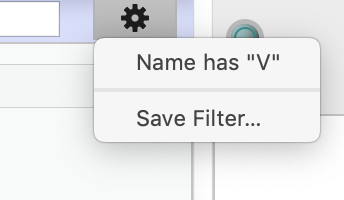 Filters are saved for this document. Bravo!!! Faster. Better looking. Hyperbolic view we waited for it so long. After resisting for a long time I had finally made my peace with slowly letting my workflow drift away from Tinderbox and give in to the lovely iPad Pro 12.9 that turned out to be way more useful for my work than I had imagined. But Mark Bernstein can’t let this happen, can he? From a brief walk around and just kicking the tires Tinderbox v8 looks fantastic. Thanks to everyone involved. Nice!!! Lots of great stuff to check out. SUPER excited about the new scripting.